We examined eight popular stores that price match, from department stores to home improvement centers, with the goal of identifying the best price-match policies and the ones that may not be worth the effort. Two retailers topped our list: Target has expanded its Low Price Promise to 29 online stores, including Amazon, and Lowe's not only matches competitors' prices but throws in an extra 10 percent discount. A few other retailers have similar guarantees that don't quite measure up to the best price-match policies. Best Buy, for example, followed Target's lead in matching online prices but has limited the list to a handful of retailers. Although Home Depot mirrors Lowe's 10-percent-off guarantee, it's limited to regular retail prices, whereas Lowe's matches discounted prices. Walmart's guarantee is admirably clear but less lenient in practice than on paper. Although JC Penney's open-ended policy gives managers broad authority to grant customers lower prices, it's likely to be inconsistently applied. Sears and Kohl's are the least permissive retailers we researched. We compared the retailers on a number of fronts, from basic policy exclusions to employee attitudes toward price matching. We read feedback posted online by customers around the country and paid visits to the stores to see how they apply their guarantees in practice. All the price-match policies seem to have some rules in common: Price matching is allowed only for identical items and closeout prices are excluded, to name a couple. But other important factors, such as which competitors a store will match and what kind of proof you need of a competitor's price, vary among stores. Most chains let customers request a price match even after the fact (if they find a better deal) but provide different time frames for such adjustments. When you request a price match, you generally expect to pay the lowest price you can find at the store that's most convenient for you. Retailers are often willing to oblige, even if it means a little less profit, in order to acquire loyal customers and reinforce an image as a low-price destination. But as we illustrate in this guide, not all price-matching policies are created equal and some common exclusions may catch consumers off guard. Official rules are also inconsistently applied in practice. Keeping up with the best price-matching policies can empower frugal shoppers, guaranteeing they get the best deals possible without driving around to every store in town. Most price-match guarantees come with lists of exclusions and vague, ill-defined terms such as "qualifying product" and "local retail competitor." These can make it difficult for consumers to get a store to honor what appears to be a straightforward policy. In many cases, it seems, the final decision is left to employees' discretion. The pesky word "identical" crops up in nearly every low-price guarantee. A string of comments on a post on Elliot.org, a consumer advocacy blog, reveals how companies use the term to deny would-be price matchers. Large retailers have enough buying power with manufacturers that they often request unique model numbers for expensive items such as mattresses, electronics, and appliances. One commenter bought a TV at Walmart and requested the retailer match a cheaper price on what looked like the same TV at Best Buy. The Walmart clerk didn't even bother to compare the ad and receipt the customer brought in because any TV would have had a model number specific to the retailer. Likewise, consumer goods may come in slightly different size packages or carry store brand names. Items such as Target's Market Pantry food, Sears' Kenmore appliances, and Home Depot's Husky tools do not qualify for price matching. Although some retailers don't clearly define what qualifies as a competitor, price-match guarantees generally require that the price to be matched come from a retailer with brick-and-mortar stores; only Target, Walmart, and Best Buy include select online-only merchants in their low-price guarantees. The competing store also must be located nearby, but what exactly qualifies as local is up for debate. Target's policy states that the store must be in the same "market area," which could mean a city, metro area, or rural region. However, in a comment on Elliot.org, a Target shopper writes of being denied a price match because the ad came from a Toys R Us store that was only a mile away but in a different ZIP code. Best Buy gives more precise a 25-mile radius. Lowe's uses the "local retailer" phrase without any more specific definition; it seems the ultimate decision is up to the clerk or store manager. Sears has an equally broad "reasonable distance" qualifier and a somewhat odd policy for online prices: It will match a price on a website associated with a local retail store, but only if the store matches its own online prices. Myriad other restrictions keep consumers from compelling retailers to match lower prices. One common requirement is that the competitor's ad must clearly show the final discounted price of an item. It can't merely say 20 percent off, for example, or buy one get one half off. Price-match guarantees also don't usually apply to competitor clearance sales, limited-time offers, going-out-of-business sales, or discounts on damaged or open-box items. Many stores specifically exclude ads for the days around Thanksgiving and create dedicated Black Friday price-match policies. Most price-match guarantees exclude prices that require a loyalty card, common at large drugstores and supermarkets such as CVS and Albertsons. A shopper posting on Pissed Consumer gripes that Walmart refuses to match ads from Albertsons when sale prices there are advertised as membership rewards. Consumers may also run into trouble if an item is out of stock at either store or must be special ordered. Several people mention this online with regard to Home Depot, which promises an additional 10 percent off competitors' prices. One consumer who posted on a Fat Wallet forum requested a price match after finding a washer and dryer listed for less in an ad from a nearby store. The retailer matched the price but wouldn't give the extra 10 percent off because the appliances technically weren't in stock at Home Depot; the floor models were only displays and the washer and dryer would be delivered from a nearby warehouse. The thing is, all the store's appliances were "out of stock" by that definition. Yet large signs above the display models advertised Home Depot's price-match-plus-10-percent-off guarantee. If you're wondering exactly how to price match, it's pretty straightforward: Most of the stores we researched authorize cashiers to match competitors' advertised prices right at checkout. In most cases, if you've brought a print ad with you and it meets all the requirements, the clerk working the register can easily match the price on the spot. Some stores also accept a copy or picture of the ad or an ad you've found online and printed out or displayed on your smartphone, although others specifically prohibit these substitutes. Shoplocal collects circulars from all the stores we researched and lets shoppers search for the weekly ads for their local area. The clerk may call to verify the competitor's price, which takes a little time but is still relatively easy. Walmart's ad-match guarantee states that customers don't even need to have an ad with them, in any form, to request that the retailer match a competitor's price. However, employees at four different Walmarts told us that customers not only need to present the ad, it must be a print ad; photos or copies won't be accepted. 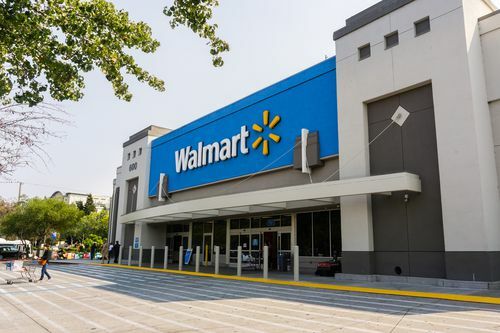 A customer service manager at a fifth store offered an alternative view of the policy: Strictly speaking, if you know of a competitor that is offering a lower price, a Walmart representative can call the store to verify it. But bringing in a print ad as proof of the lower price is recommended to avoid the hassle. In general, if there's a dispute over the fine print, you may find yourself having to wait for a supervisor. Kohl's requires that a supervisor be called over to approve any price adjustment. At Target, alone among the stores we researched, prices cannot be matched at the register; shoppers must visit the customer service desk to get special authorization. Luckily there weren't many people waiting for help when we were redirected to guest services. On past visits to the store, however, we've noticed long, slow-moving lines, as have customers reviewing Target's low-price guarantee online. Then again, the customer service line may be shorter than the lines at the registers. And even if the line is long, the opportunity to pay Amazon prices offline and apply coupons on top of a price match may make the wait worthwhile. After closely reading a number of ad-match guarantees and speaking with numerous store representatives over the phone and in person, we've come to realize that price matching often comes down to an employee's discretion. Several policies we examined are surprisingly short, which leaves room for interpretation -- and for confusion. The Kohl's policy runs only a few sentences, for example, but when we put it to the test, we discovered some unwritten rules in response to common questions: Would a picture on a phone suffice as a copy of the competitor's ad? Do membership stores such as Costco count as competitors? Can customers use coupons after they're granted a price match? The answers, according to a customer service rep, are no, no, and no again. On Pissed Consumer, when a shopper complained that Kohl's wouldn't match a discounted price because the competitor's ad listed a different starting price for the item than Kohl's, current and former Kohl's employees responded differently in the comments: One would have approved the match, because the products were clearly the same, and the other said the store was right not to match the price in this case. Even companies that clearly address such issues in the fine print online give employees a little bit of leeway -- and sometimes that can work in consumers' favor. A shopper who posted on a Best Buy forum was looking to have the cost of a camera lowered by $200 to match a local competitor and called customer service to make the request before heading to the store. The first person who answered denied the match; the second approved it. A commenter pointed out that technically the situation didn't meet certain requirements in Best Buy's guarantee, but the retailer seems to allow customer representatives some discretion in order to keep from losing business. While consumers appreciate such flexibility, it can also breed inconsistency. In comments on a Hip2Save post, a couple of Walmart shoppers say cashiers seem to apply the seemingly straightforward policy irregularly, matching prices one week but not the next; on milk but not on bread or produce. In cases like this, it can help to know the main points of the fine print and maybe bring a copy of the ad-match guarantee with you, especially if you have your eye on an expensive product. At some stores -- JC Penney, for example -- the policy is posted at the registers for reference. Generally store managers follow the rules, although some have their own interpretations. Experts see these policy changes as a reaction to the trend of "showrooming." Consumers who take advantage of lower prices online still want to be able to check things out in person before they buy, so they watch HDTVs and try digital cameras in stores but make their final purchases online, where the products are cheaper. Online price matching is a bid to transform showrooming browsers into paying customers by providing some assurance they're getting a good deal. Best Buy has had a particular problem with showrooming. As reported in The New York Times, the retailer went as far as replacing standard barcodes with Best Buy-exclusive barcodes in stores to prevent shoppers from scanning products with an app to look up competitors' prices. The retailer's low-price guarantee extends to online prices at Amazon, B&H Photo Video, Crutchfield, Dell.com, HP.com, Newegg, and TigerDirect. The online price matching policies at Walmart and Target include about 30 major e-commerce sites. Best Buy, Target, and Walmart also promise to match prices displayed on their own websites. That's right -- the same item might cost less on Target.com than at your local Target store. Prices at retail stores are generally a little higher because expenses such as staffing, utilities, and insurance, not to mention rent, all drive up the cost of offline transactions. Other retailers, such as Lowe's, also offer online price matching, but it's limited to local competitors' websites and the companies' own online storefronts; the guarantees do not apply to online-only merchants. Shoppers who order an item online from Lowes.com for in-store pickup or local delivery are automatically be charged the lower of the online and in-store prices, without having to request a price match. 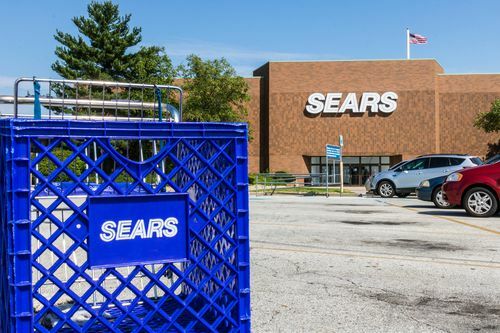 Sears will match prices on competitors' websites, but only for retailers that honor their own online prices in-store (a manager may call the competitor to verify its policy). There are a number of smartphone apps, including RedLaser, ShopSavvy, and the Amazon app, that can help consumers check competitors' prices as they shop. Online price matching may be worth a try even if you're shopping someplace where the guarantee doesn't explicitly cover it. When we went into a JC Penney, where the policy states that all online and mobile pricing is excluded, the manager said he'd accept a price we showed him on our phone from another department store, although he'd consider calling the local store to verify it. The companies' own websites are almost always worth a look, as well. Although many retailers won't match their own online prices, all the stores we researched except Kohl's provide free pickup at the nearest retail location, so you can order online if you find a lower price. Thus far we've discussed the concept of price matching mainly with the idea that you'd walk into a store and ask the clerk (or customer service rep) to match a lower price from a competitor before you buy. But retailers generally extend the same price-matching terms beyond the purchase date, allowing customers to claim what is often referred to as a price adjustment. At Sears, for example, if you find a lower price on a product you've purchased, you have 14 days to return with the ad and be reimbursed the difference. At Best Buy, the price-adjustment period used to be as long as 60 days, but since the retailer added price matching for online stores, it has also narrowed the return and exchange window to just 15 days. Even more limiting, refunds are awarded only if Best Buy itself lowers the price within the 15-day window, not if the customer finds a lower price from a competitor. JC Penney doesn't give a time frame for price adjustment; it merely says the ad from the competitor must still be valid. Company representatives told us it's ultimately up to the manager's discretion. Other retailers, such as Home Depot, match prices only at the time of purchase, although their policies don't explicitly say so, as an NBC News/Today Money post points out. Lowe's, the other home improvement store we researched, has a generous 30-day window for appliances. Of course, shoppers can always return and rebuy an item, but it's best not to make a habit of doing so. Many stores track returns, and if you've made too many, you may be denied or temporarily banned from making a return or exchange. The Hartford Courant tells the story of one Best Buy customer who was told he would be allowed no returns or exchanges for 90 days. It turned out Best Buy had used his driver's license to monitor his return/exchange behavior via a California-based company called The Retail Equation. Although it's intended to keep consumers from abusing store policies, it appears to have disrupted the lives of honest shoppers as well. The customer from the Courant column told the paper that several of his returns came after Christmas and he had receipts for all of them. 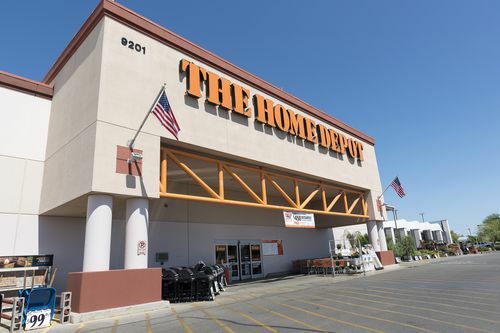 Although the company does not publicize which stores use its system, other reports indicate that Home Depot is also among the retailers that have signed up for the service. A post on Slickdeals suggests that the system's connection to price matching may go beyond returning and rebuying. 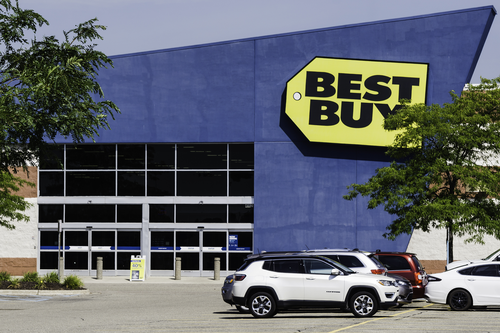 After being denied a return at Best Buy, the poster requested a report from The Retail Equation to see what kind of activity may have raised a red flag. The list included six transactions, four of which were price matches. After a bit of back-and-forth, The Retail Equation told us that price matches typically aren't counted as returns, but retailers can choose to incorporate such transactions into their data, and some point-of-sale systems don't distinguish among price matches, returns, and exchanges. The good news is that Best Buy doesn't require identification for price matching during the initial purchase, so it doesn't seem to be tracking that, at least. If you are asked for ID, it may be wise to decline if you can. The Retail Equation also told us it doesn't share customer data among stores. Therefore, activity at Home Depot shouldn't get a shopper suspended from making returns at Best Buy, for example. Familiarizing yourself with the various retailers' policies and practices can keep you from getting into a sticky situation. As we've seen, though, decisions are often made at the store level. Going in with a friendly approach, the requisite documentation, and a bit of optimism should make it easier to get stores to grant your requests. Many top retailers promise to match select competitors' advertised prices, provided the items are identical (same brand, model, etc.) and there's sufficient proof of the lower price. Few stores will match online prices, however -- even from their own websites. Other common exclusions include limited-time or limited-quantity offers, Black Friday prices, misprinted or expired ads, free offers, rebates, services (such as installation), closeout or clearance prices, and open-box or damaged items. Additional exclusions may apply on a store-by-store basis. Usually prices can be matched right at the register, although some retailers require authorization from a customer service representative or supervisor, and shoppers can claim price adjustments even after purchase. Here's what to expect at more than half a dozen stores that price match, keeping in mind that many official policies leave room for employees to use their own judgment. Target's price-match policy is one of only a couple that include Amazon and select online retailers, not just local competitors. The store's expanded low-price promise, which took effect Oct. 1, 2015, applies to 29 online retailers, including Amazon and Target.com. Armed with a smartphone and the Amazon mobile app, we tested the new Target price-match policy with two products. The first, a Philips Sonicare DiamondClean rechargeable electric toothbrush, was for sale at Target for $199. When we scanned the box, the app showed that Amazon had it for $166.58. At the counter a helpful Target representative confirmed we'd be able to get the lower price, a savings of more than $30. The other item we picked up was a 4-ounce bottle of Bausch & Lomb Biotrue contact lens solution. The $1.49 Amazon price looked appealing next to the $5.39 Target price. This time we weren't so lucky: The solution was being sold by a third party on the Amazon Marketplace and not directly by Amazon.com. Target's guarantee excludes marketplace prices. How have other shoppers fared with price matching at Target? 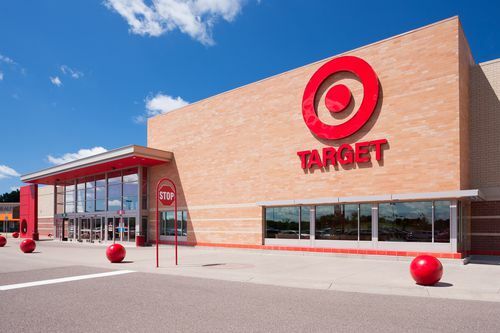 The day after Target originally updated its policy to include a handful of online retailers, in 2013, one shopper tried to request price matches for a couple of items that were cheaper on Walmart.com and was told that a weekly ad was required, according to a comment on TechCrunch. Most likely employees hadn't been adequately briefed on the corporate policy yet, and the commenter wasn't familiar enough with the fine print to insist that the store match the online price. Target will match prices after purchase, as well, if shoppers find a better deal and has lengthened the period for price adjustment to 14 days. Regardless when customers request a price match, they must head to customer service instead of going through a normal checkout line -- a potential downside of the program, given that the customer service line is apt to move more slowly. Another thing to watch out for: Like most stores' guarantees, the Target price-match policy applies only to identical items, meaning the exact same model, color, size, weight, and brand name. This automatically rules out a lot of private-label clothing, personal care, and food items. We even saw a Target-exclusive red-and-white Sonicare toothbrush, which would have been ineligible. Other exclusions include products from membership clubs and items advertised as limited time, limited supply, or limited quantity. Read the full Target price-match policy here. A final money-saving tip: Although Target coupons are applied before the price match, manufacturer coupons are applied after. 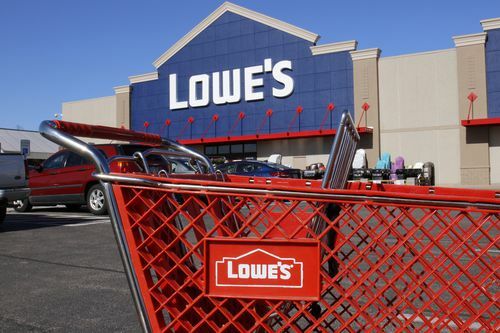 Of the two major home improvement stores, Lowe's has the better price-match policy. Both Home Depot and Lowe's promise to beat competitors' prices by 10 percent if a shopper brings in a print ad or show an ad from a local retailer's website. Where Lowe's gains an edge is that it gives customers 30 days to claim a partial refund if they find a lower price after purchasing an appliance. Lowe's also matches the net price when a competing store offers a percentage off, while Home Depot's policy applies to regular retail prices. At a number of merchants we recommend buying online and arranging for free delivery to a local store, in order to take advantage of lower prices online. Lowe's saves customers the trouble of comparing its online and in-store prices by guaranteeing shoppers the lower of the two prices when they order online for store pickup or local delivery. Lowe's price-match policy is limited to "reasonable quantities" and, like other guarantees, excludes things like installation, sales on damaged items, and closeout or clearance prices. One shopper takes a local Lowe's to task in a post on Pissed Consumer for declining to match a competitor's sale prices. According to the official policy, the store should match discounted prices, although it promises the additional 10 percent off only for "everyday" prices. A consumer who posted a review on Yelp reports that Lowe's did match prices for appliances from a grand opening sale when a competitor opened a new location nearby. Another thing to be wary of at Lowe's and other large retailers is that some of the appliances they carry have unique model numbers. This makes the items ineligible for price matching, because they are technically not identical to models sold elsewhere. Read the official Lowe's price-match policy here. Will Best Buy price match? The short answer is yes: Best Buy matches ads from local retailers (within 25 miles) and prices on BestBuy.com, as well as the following websites: Amazon.com, Bhphotovideo.com, Crutchfield.com, Dell.com, HP.com, Newegg.com, and TigerDirect.com. This list of retailers includes online-only merchants but is shorter than it used to be. And in some ways Best Buy's price-match policy is more restrictive than others. The retailer's decision to match e-commerce sites was partly a response to a consumer practice known as "showrooming." Shoppers were using Best Buy stores to see how TVs and other high-priced items looked in person before buying the products online, where they were cheaper. Best Buy's new policy is designed to encourage shoppers to purchase in-store without fearing they could be getting a better deal online. We found employees at multiple stores well-versed in the intricacies of the new guarantee. When we asked one customer specialist if she'd seen anyone use the Best Buy price-match policy to get a good deal, she said, "Oh, yeah -- all the time. Even go online to BestBuy.com and things will usually be a few dollars cheaper." Shoppers commenting on an article about Best Buy's price-match policy on The Unofficial Apple Weblog seem a little more skeptical. One consumer admits to showrooming and says Best Buy has a record of making price matching difficult, if not impossible, by selling items with unique model numbers that other retailers don't carry. On the other side, a commenter who lives near a Best Buy store that was testing the policy before it became official has found savings on BestBuy.com and says online price matching is painless. The retailer lets customers request price adjustments after purchase only if Best Buy or BestBuy.com lowers the price of an item within 15 days. If you want Best Buy to match a competitor's price, you must make the request when you make the purchase. You could, of course, return the product and then buy a new one in order to get the lower price, but as explained in our full report on price adjustment, customers who do this too often risk giving up their right to return or exchange any products. With the policy changes that recently went into effect, Best Buy also shortened the return period to 15 days from 30 days. Read the full Best Buy price-match policy here. The Home Depot price-match policy comes with a bonus 10 percent off for customers who find a lower price at a nearby competitor. Shoppers need to come armed with a current price from a competitor in the form of a print ad, a printout of an online price, or a price pulled up on a phone. If you're asking the retailer to match an online price, be sure the item is also available in stores; Home Depot won't match online-only prices. Online reviewers haven't taken kindly to earlier versions of the Home Depot price-match policy, but the company heeded customer feedback and updated its guarantee. For example, Home Depot now matches prices found on HomeDepot.com; failing to do so in the past led to some heated exchanges and lost business. Home Depot may also refund customers if they notice that the price of an item has dropped soon after purchase (but not before, as one customer laments on Complaints List. Even if you have proof the item was a few hundred dollars cheaper at Home Depot the day before, the retailer won't match that price). The Consumerist interviewed a Home Depot employee who shared some insider tips: Supervisors can give a customer a $100 discount, assistant managers a $500 discount, and store managers a $1,000 discount without any higher-up's authorization, so it may be worth mentioning that you saw a lower price elsewhere, even if you don't have an ad with you. He reminds consumers of a common price-matching caveat, though: The model numbers must be the same. As a consumer points out on FatWallet, this makes most appliances ineligible, because major retailers often get manufacturers to assign items in their stores unique model numbers. If you do get Home Depot to match a lower price, you can use store coupons to deepen the discount. Exclusions include special orders, labor and installation, volume discounts, and open-box merchandise. Read the official Home Depot price-match policy here. The Walmart price-match policy extends to online prices at about 30 ecommerce merchants, and the retailer matches certain types of discounts that other stores don't, such as buy-one-get-one-free offers, with the limitation that the first item must have a specific price attached to it in the competitor's ad. Walmart also matches prices for items that are discounted when shoppers use a local competitor's loyalty card -- again, as long as the item and its final price are clearly displayed (just a percentage off won't do). The official Walmart price-match policy doesn't even require that shoppers have an ad with them to request a price match. However, multiple employees told us we would need a print ad from the current week and customer feedback posted online suggests that this is a common requirement, regardless of the corporate line. A customer service supervisor clarified for us that a price match is possible even without an ad, but it will take longer because the lower price will need to be verified with a phone call to the other store. Whether this has gotten across to employees is an open question. Walmart customers may have to press a little to get a price match without an ad. One irritated shopper started a petition on Change.org calling for Walmart to honor its stated coupon and price-match policies without hassling customers. According to her petition, a customer service representative told her that managers have the right to set their own policies. One supporter comments that her local Walmart has limited the number of price matches she can make per visit -- an off-the-books rule. A commenter on the blog Stockpiling Moms writes of using the Walmart price-match policy to get macaroni and cheese at a discount with an ad for a store 20 miles away. On A Full Cup, a forum contributor explains how to use the policy to save money when buying meat and tells fellow shoppers how to make sure the two meat cuts are identical, a requirement for price matching. Read the full Walmart price-match policy here. The JC Penney price-match policy extends only to similar local competitors in the same market area or within a "reasonable distance" of a JC Penney store and requires an original print ad as proof of the competitor's price. However, the retailer seems to give individual managers a lot of authority to decide what's acceptable and what isn't. They're authorized to accept a photocopy or mobile phone version of the ad, for instance. When we spoke with the manager at a local store, he said he'd accept a lower price we showed him on our phone, as long as he could call up the store and verify it. A JC Penney customer who posted about her experience on Yelp returned to a store after two shirts she bought dropped in price from $36 to $20. Even without the receipt, the manager looked up the purchase, matched the newer price, and refunded her the difference. We contacted customer service to clarify the time frame for price adjustments, because the official policy doesn't specify how long you have to request a refund if you find a lower price at JC Penney or a competitor after purchase. A representative said the company lets store managers make the final decision, but 14 days is a good rule of thumb. Regardless, the ad showing the lower price must still be valid. For price matching at the time of purchase, the usual restrictions apply. The items must be identical, meaning JC Penney brands such as Stafford and Worthington are not eligible. Neither are optical, salon, portrait, and other services. 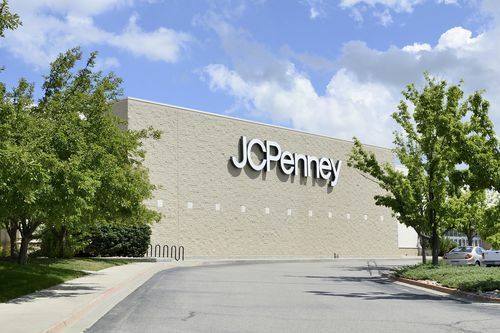 The JC Penney price-match policy does not include online and mobile prices, even from the retailer's own website, which one customer wasted a lot of time and gas finding out firsthand. On ConsumerAffairs.com, she writes that she saw a pair of shoes on JC Penney's website for $35 and went to a local store to buy them. They were $50 at the store, but she bought them anyway, thinking maybe she was wrong about the price or it had since been updated. She checked later and found that the online price was indeed $35, but when she went back to the store the next day, the salesperson would not match the price or refund the difference. A good workaround is to order the item online and have it delivered to the store. JC Penney doesn't charge for this service, no matter what the price of your order. If you get home after making a purchase only to discover a lower price at JCPenney.com, you can place the order online and use JC Penney's lenient return policy, which sets no time limit for returns as long as the product is still in good condition. Read the official JC Penney price-match policy here. The Sears price-match policy used to be very generous: The retailer would match any competitor's price, online or off, and give an additional discount. However, an update in late 2012 eliminated the extra savings. Sears' new price-match guarantee allows for matching of prices advertised at local retailers and also on their websites -- but only if the brick-and-mortar shop honors its own online prices. If you're requesting that Sears match a price from an online shop, the retailer requires that you bring in a printout of the order form with the cost of shipping and handling, because Sears includes that in the competitor's price when matching. Sears also applies manufacturer promotions, such as rebates, before considering a price match, instead of after like stores such as Target, and customers can't use Sears rebates or special offers to further lower the price. Among the fairly standard exclusions in the Sears price-match policy are used items, clearance prices, products available in limited quantities, out-of-stock items, and products that aren't identical to the item you're buying. Some price-matching shoppers have posted online reports of not-so-great experiences at Sears. On Complaints Board, one customer says he was denied a price match on a dryer he bought a week prior, even though Sears states it will match prices for 14 days after purchase. On Yelp, a shopper writes that employees in the appliance department at Sears gave three different reasons why they wouldn't match prices at three local stores. On the other hand, shoppers laud Sears for matching prices at paid membership stores such as Sam's Club, although a valid membership card is required (other retailers specifically exclude club prices). Customers posting on Yelp have used this to take advantage of the excellent service and warranty they've found at Sears Optical while matching Costco prices on glasses and contact lenses. Read the full Sears price-match policy here. The official Kohl's price-match policy runs only a few sentences, but a call to the retailer's customer-service department revealed some unwritten details. As we assumed based on other stores' policies and the representative confirmed, Kohl's will not match percentage-off discounts or limited-time sales. 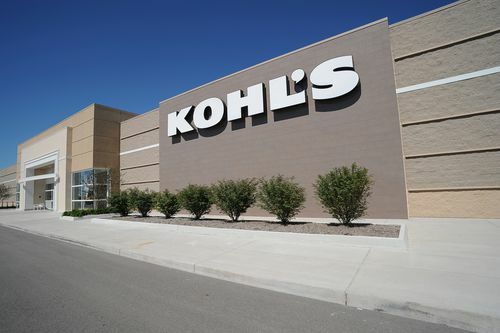 She also revealed that Kohl's won't match the prices of membership stores such as Sam's Club or Costco, and we were a little surprised to learn that Kohl's employees can't authorize price adjustments of more than $100. Other stores don't set such caps. The online description of the Kohl's price-match policy states that customers need to bring in a physical copy of a local competitor's ad that includes a current date and a description of the item. Some retailers with similar merchandise, such as Sears, match online prices as long as they are associated with nearby brick-and-mortar stores. However, the Kohl's price-match policy does not include online pricing, even on Kohls.com. Bargain shoppers also must compare the potential savings of a price match vs. a coupon; Kohl's won't let you use both for the same transaction. It may prove useful to bring in a copy of the Kohl's price-match policy when you visit the store. Reviews on Yelp suggest that cashiers may not know about the policy, and although managers approve matches, they may not be eager to do so. We encountered this firsthand when calling a Kohl's for information. A cashier told us Kohl's stores match prices on Kohls.com (when, as mentioned, the policy explicitly says otherwise). When we asked the cashier to double-check, he said the manager told him Kohl's doesn't price match at all. Finally, after we read the policy out loud, he transferred us to the manager, who acknowledged that the store would price match, but we'd have to bring in a print ad from a local competitor. Read the official Kohl's price-match policy here. Find out how to use price alerts to grab the best bargains.